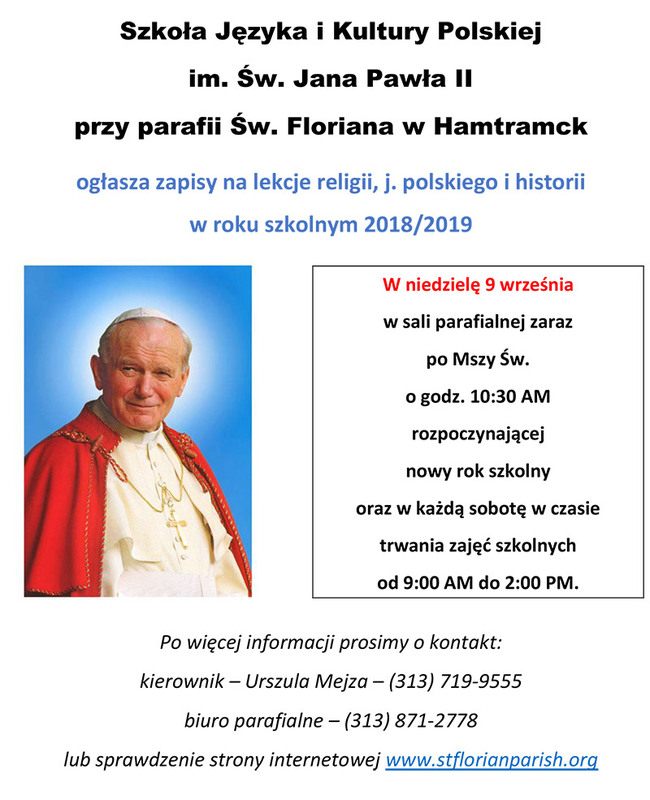 In September of 2006, the pastor of St. Florian parish, Father Tomasz Sielicki T. Chr. allowed for a Polish language school to be opened. The organizers and founders of the school were: Halina Massalska, Maria Kutak-Kozik and Urszula Mejza. It is thanks to their ambitions and love for their native tongue our children can learn to read and write in Polish. In the first school year 2006/2007, two classes were formed: kindergarten and first grade. In the 2007/2008 school year, the school had 102 students spanning seven classes. In the same year, Father Mirosław Frankowski gave the school its official name in memory of Pope John Paul II. Currently, 150 students attend the school ranging from 3 to 17 years of age. Classes are administered within nine classrooms, which have been renovated thanks to the efforts of parents who are active within the school’s community. 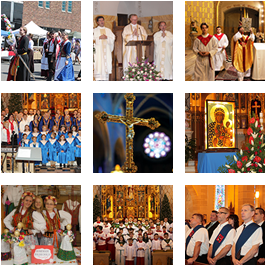 Each Saturday from 9:00 AM to 1:50 PM children are taught Religion, Polish, history, and geography.